Recently acquired by Google, Waze is the ultimate navigation app for drivers. It’s a travel-mapping service that uses your phone’s GPS to provide a real-time picture of the roads around you. Simply pick your destination when you hop in your car and the app will identify the quickest route, while also showing the average road speed in areas of heavy traffic, any user-reported incidents such as accidents and speed camera locations, and which petrol stations are nearby and how much they are charging. 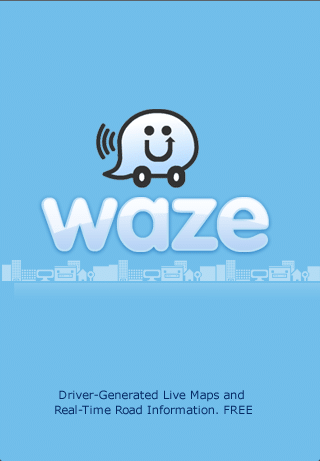 Waze is one of those rare apps that is free to download and use and is actually useful. Navigation apps are a dime a dozen, but this app distinguishes itself by incorporating other users’ travelling data into the app to give users an up-to-date picture of current traffic situations. It then helps users find their way to their destination by avoiding traffic jams, accidents and heavy traffic as much as possible.Waze is so widely-used that it was recently acquired by Google for reportedly US $1 billion. Waze will also learn your preferred routes and departure times for home and work and adapt them if there’s an unexpected jam or hold-up. If you invite your friends to join, you can keep track of their movements and coordinate arrival times at an event. With real-time updates on current road speeds, Waze lets you avoid traffic with ease. The app is available for free for Android , iOS and Windows Phone mobile platforms. Recent update for the app brought celebrities voices for driving directions, the first celebrity to the list is US comedian Kevin Hart.Interested users can enable Hart’s voice commands by going through the app settings and under the Sound option, select “English – Ride Along” as your Voice Language. Overall, we can call ‘Waze’ a Social GPS as it is free to use, and allows users to report various objects or occurrences. You can report traffic jams, police sightings, accidents, hazards and many others which you can also show by taking a picture. The report will then be given to all Waze users who are currently on the same route or just displayed on the map for everyone to see.